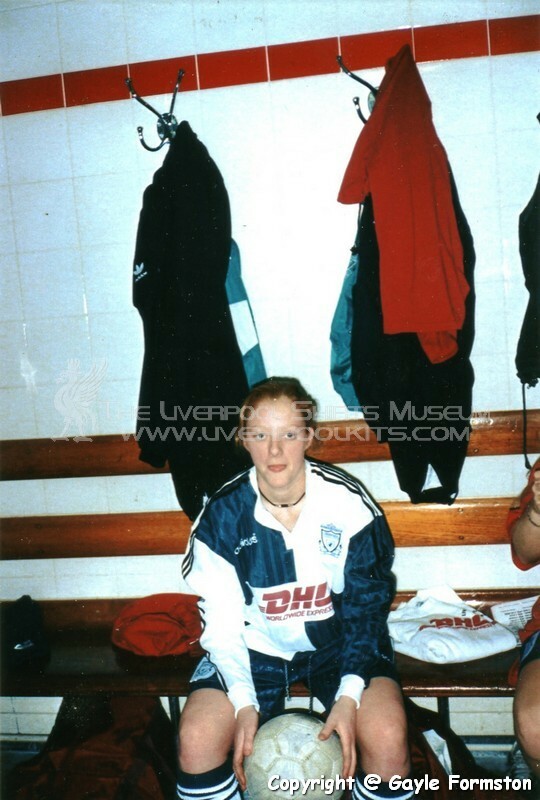 Featured Liverpool Ladies players in the changing room during the FA Women's Cup Semi Final 1996. 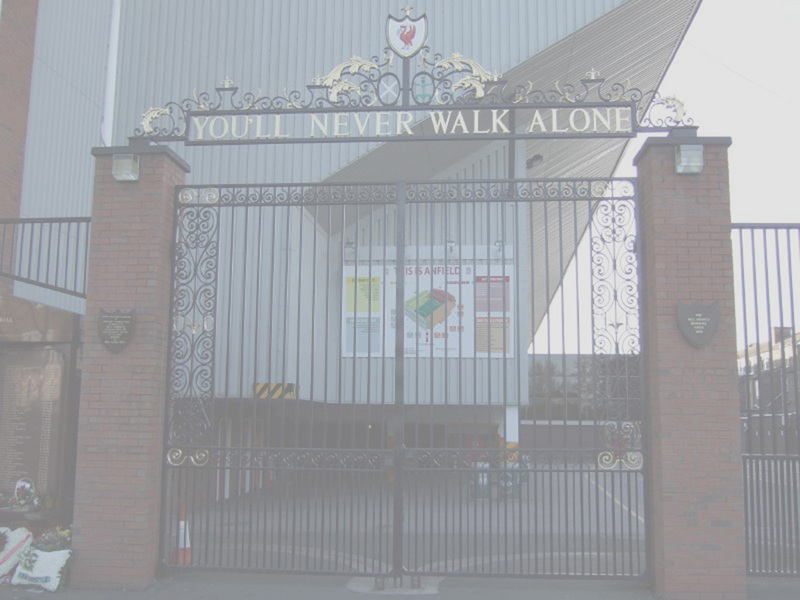 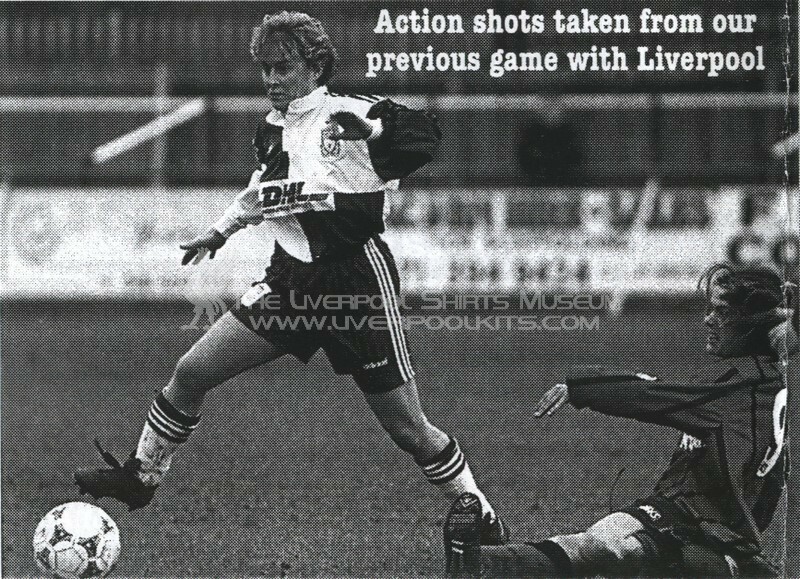 Featured Liverpool Ladies player in action against Millwall Ladies Team in League Cup match. 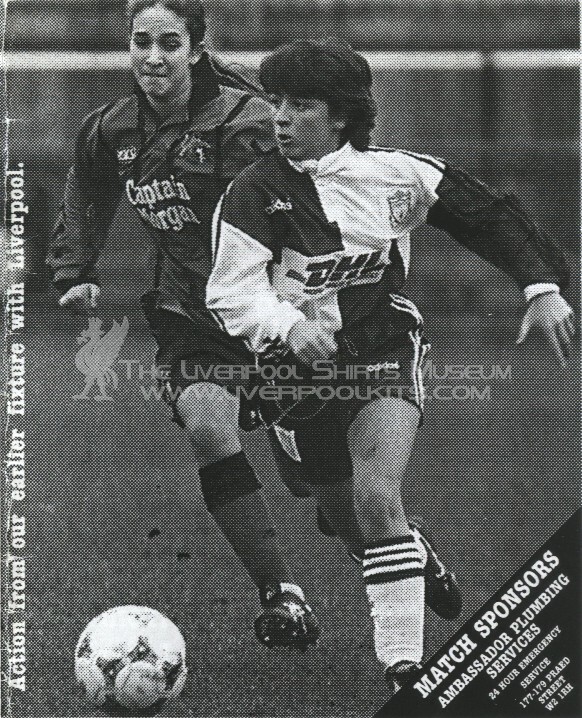 Featured Liverpool Ladies player in action against Arsenal Ladies Team in FA Womens Cup Semi Final 1996. 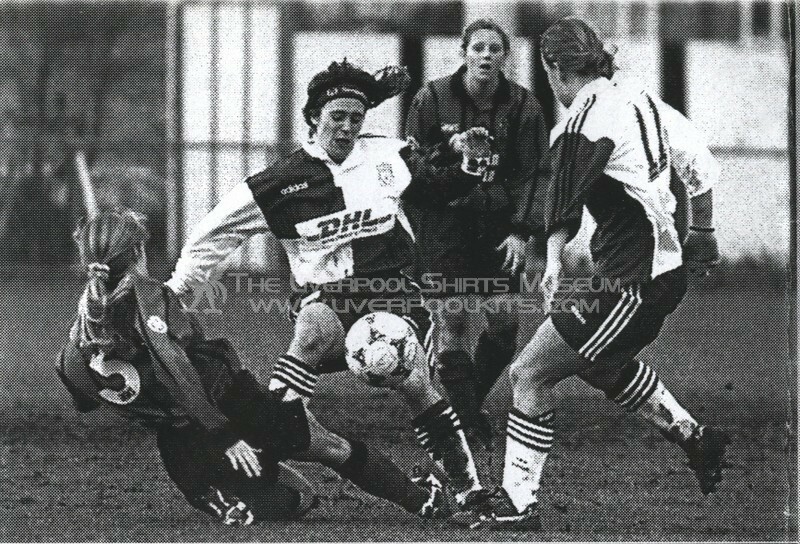 Featured Liverpool Ladies player in action against Millwall Ladies Team in League Cup match. 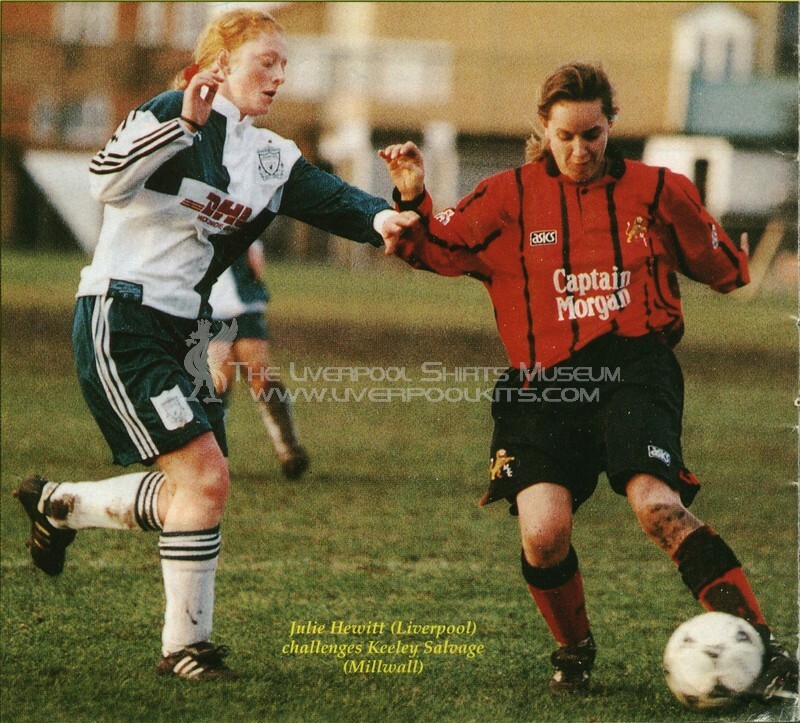 Featured Liverpool Ladies player in action against Millwall Ladies Team in League Cup match. 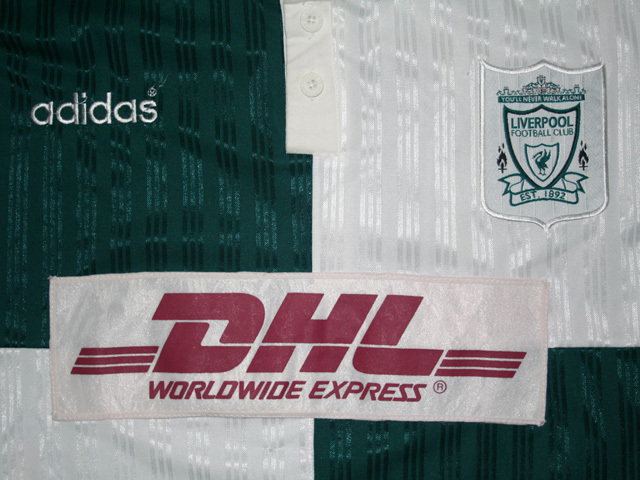 As aforesaid, the sponsor on the Ladies Team shirt was DHL Express instead of Carlsberg.The DHL sponsor was a rectangular piece of cloth stitched onto the shirt, with paint-like spray spreaded on the cloth surface. 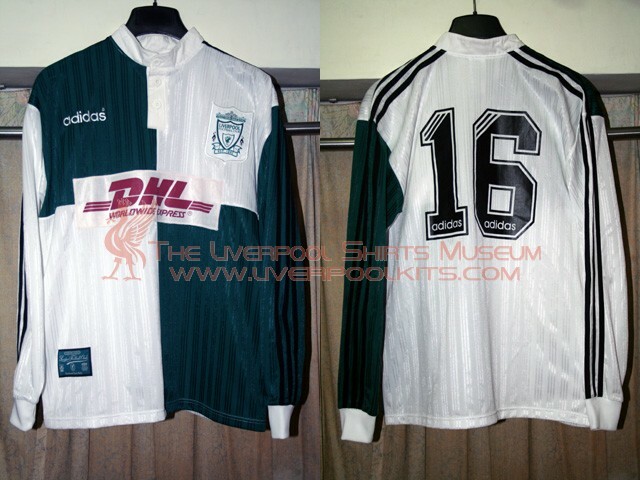 Liverpool 1995-1996 Ladies Team Away Player Shirt - This #16 shirt was worn by England National Team / Liverpool Ladies skipper Gayle Formston in the F.A. 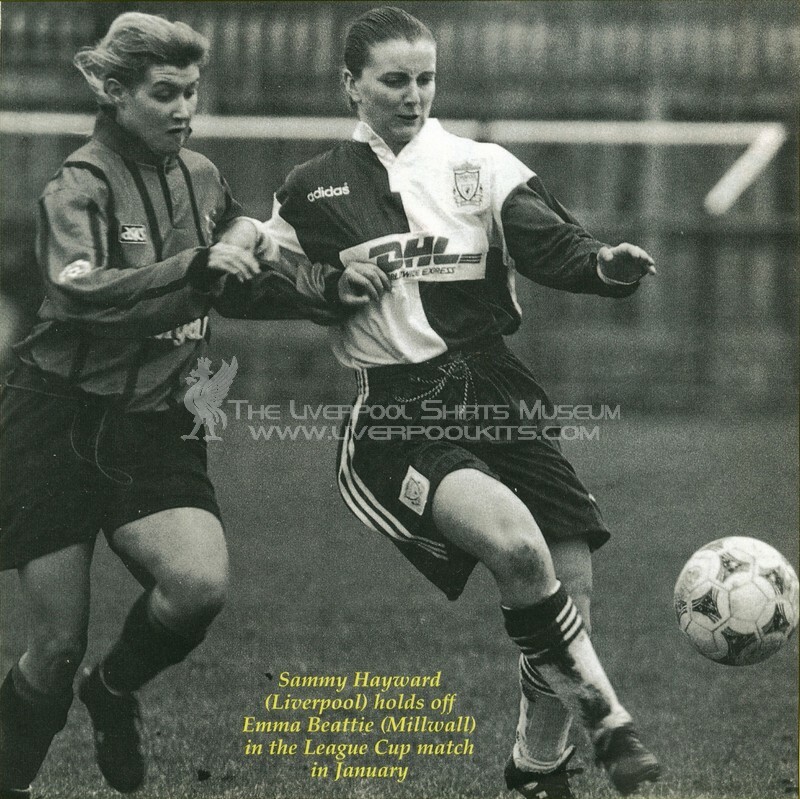 Womens Cup Semi Final 1996.